Corboy & Demetrio is nationally recognized as a leading personal injury law firm. Our personal injury and medical malpractice attorneys have received many awards and honors for their legal work, professional accomplishments and charitable contributions. 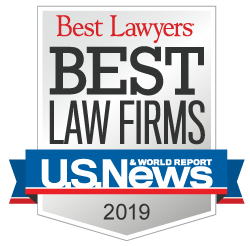 Our firm earns top rankings in personal injury and medical malpractice litigation in Chicago, has consistently secured the highest or among the highest, yearly settlements, and has received recognition for many outstanding accomplishments and achievements. David “Chip” R. Barry, Jr.